Law enforcement participants, will have an opportunity to get acquainted with CEPOL’s Exchange Programme, the tools of the LMS, its procedures and how best to utilise them, in regard to the different Ministries’ procedures. 1. Provide information to prospective exchangees and their line managers, on the 2019 CEPOL Exchange Programme and clarify any questions in relation to the application process. 2. Expand on the added value of CEPOL’s Exchange Programme capacities in a law enforcement environment, both to the participants as well as to their line managers. 3. Justify the relevance of training provided by CEPOL in everyday law enforcement work. 4.  Provide information to the Greek appointed participants, concerning the 2019 CEPOL Exchange Programme. 5. Introduce the line managers and administrative staff to the required procedures for a successful exchange visit. 6. Familiarise the appointed participants with the tools and functions of the Learning Management System. 7. Underline the role of the Hellenic CEPOL Unit in the Exchange Programme. Hellenic Law Enforcement personnel interested in the CEPOL Exchange Programme 2019, administrative staff that will be involved in the logistics of the visits, as well as the contact points of the National Law Enforcement Agencies.